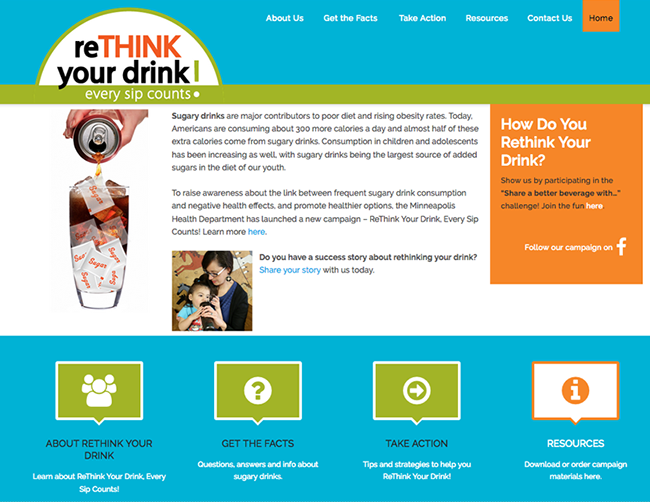 Objective: Provide guidance and materials to encourage healthier beverage choices. Materials may be requested or downloaded. Project: Logo and materials design. Site design, build, launch.